Within the field of legal informatics, discussions often focus on the technical and methodological questions of access to legal information. The topics can range from classification of legal documents to conceptual retrieval methods and Automatic Detection of Argumentation in Legal Cases. Researchers and businesses try to increase both precision and recall in order to improve search results for lawyers, while public administrations open up the process of legislating for the benefit of democracy and openness. Where are, however, the benefits for laypersons not familiar with retrieving legal information? Does clustering of legal documents, for example, yield a legal text any more understandable for a citizen? To answer these questions, I would like to go back to the beginning, the purpose of law. Unfortunately for us lawyers, law is not created for us, but to serve as the oil that keeps society running smoothly. One can imagine two scenarios to apply the oil: If the motor has not been taken care of sufficiently, some extra greasy oil might be necessary to get it running again (i.e. if all amicable solutions are exhausted, some sort of dispute resolution is required), this would be the retroactive approach. The other possible application is to add enough oil during driving, so the engine will continue running smoothly without any additional boost, in other words trying to avoid disputes, this would be the proactive line of thinking. How can proactive law work for the citizens? The basic assumption would be that in order to avoid disputes, one has to be aware of possible legal risks and how to prevent them. In line with the position of the European Union, we can further assume that the assessment and evaluation of risks requires relevant information about the legal facts at hand. It is only possible for a citizen to reach a decision regarding, for example, social benefits or certain rights as an employee, if she or he is aware of the various legal rights and obligations as well as possible legal outcomes. Having stipulated that legal information is the core requirement for being able to exercise one’s rights as a citizen, the next questions would include which type of information is actually necessary, who should be responsible to communicating it and how it should be provided. These questions I would like to discuss below. That is, we will talk about why, what, who and how. Before we move on to the main theme at hand on access to legal information, I would like to highlight a few more things about the why. As already mentioned, and as many legal philosophers have noted, law is the clockwork that makes society click. The principle Ignorantia juris neminem excusat (Ignorance of the law is no excuse) is commonly accepted as one of the foundations of modern civilization. 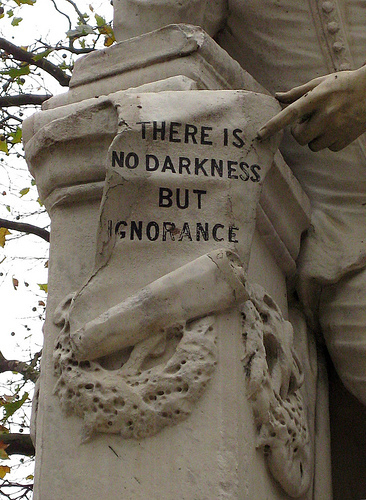 But how would we define ignorance in today’s world? What if a citizen has troubles finding the necessary information despite endless efforts? What if she or he, after finding the relevant information, is not able to understand it? Does this mean she or he is still ignorant? Public access to legal information is also a question of democracy, because citizens’ insight into politics, governmental work and the lawmaking process is a necessary prerequisite for public trust in the legislative body. In this spirit, governments should consider the management of knowledge an increasing importance. “The essence of knowledge management (KM) is to provide strategies to get the right knowledge to the right people at the right time and in the right format.” (UN e-Government Survey 2008) What, then, is the right knowledge? The term legal information is as obvious as the word law. It is both apparent and imprecise, and yet we use it rather often. Several scholars have tried to define legal information and legal knowledge, inter alia, Peter Wahlgren in 1992, Erich Schweighofer in 1999, and Robert Richards in 2009. If we consider the term from a layperson’s perspective, one could define it as the data, the facts and figures, that are necessary to solve an issue–one that cannot be handled amicably–between two persons (either legal or physical). In order for a layperson to be able to utilize legal information she or he has to be able to access, read, understand and apply the information. The accessing element is one of the tasks that legal information institutes fulfill so elegantly. The term “reading” is here to be understood as information that can be grasped either with one’s eyes or ears. The complexity begins when it comes to understanding and applying the information. A layperson might have difficulties understanding and applying the Act on income tax even though the law is accessible and readable. If a layperson does not understand the information provided by official sources, she or he might refer to other information sources, for example by utilizing a Google search. In this case, the question arises how reliable the retrieved information is, however comprehensible. A high ranking in Google search does not automatically relate to high quality of the information even though this might be a common misconception, especially for laypersons not trained in source criticism. Here the importance of providing citizens with some basic and comprehensible information becomes apparent. creditability of the business, including the amount of pending cases before the courts or complaints before the consumer protection authorities. For a citizen it might also be very significant to know how she or he could behave differently in order to reach a desired result. Typically, citizens are only provided with the information as to how the legal situation is, but not what they could do to improve it, unless they contact a lawyer. Commonly all these types of data already exist, if maybe not in one location. 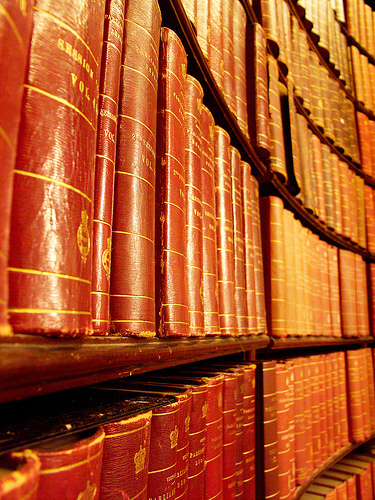 The most – technically – accessible information are traditional legal sources, such as legislation and case-law. Again, here the question mainly focuses on how to provide and utilize the existing information in a fashion understandable to the user. Who should then be responsible for structuring, presenting and rendering it understandable, especially in the light of source criticism and trust? Ignorantia juris neminem excusat presupposes that the legal information provided is correct and of high quality. Who can guarantee such a quality? The state, private entities, research facilities, non-governmental organizations or citizens? My answer would be that all could contribute their part of the game. One should, however, keep in mind, that user-friendliness is not the same as trustworthiness, which leads to the question of how to ensure that citizens are supplied with the right answers? In a world where even governments do not always take responsibility for the correctness of the provided information, such as in the case of online publications for law gazettes, the question remains who, or what entity, should be held liable for the accuracy of its services. But even if a public authority would sustain accountability, to what extent could that influence an already reached legal decision? The answer of who should provide a certain legal information service could also depend on who the target group of the information is. Non-lawyer professionals probably constitute a large market for businesses that can tailor their services to a specific group and therefore render them profitable, as the services are considered of value for these professionals. Traditional laypersons, however, typically do not represent a large market power simply because they will not always be willing to pay for services of this kind. This leaves them to the hands of other stakeholders such as public administrations, research institutes, non-governmental organizations and private initiatives. As already mentioned, conventionally the raw data is supplied by public administrations. The question, then, is how to deliver it to the end-user. The Austrian civil code knows two concepts regarding fulfilling one’s part of the contract, Holschuld and Bringschuld. Holschuld means a debt to be collected from the debtor at his residence. Bringschuld constitutes an obligation to be performed at creditor’s habitual residence. In today’s terminology, one could compare Holschuld with pull technology and Bringschuld with push technology. In other words, should the citizens pick up the relevant legal information or should the government actively deliver it at people’s doorsteps, so to speak? 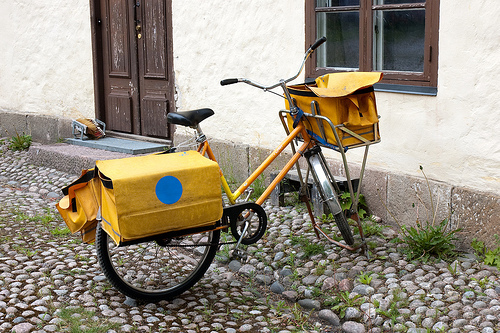 In the offline paper world, the only way to reach a citizen was to send a letter to her or his house. Obviously, information technology offers many more possibilities when it comes to communicating with citizens, either via a computer or even a mobile phone, taking privacy concerns into consideration. Several e-government and initiatives (video feed from European Parliament sessions and EU’s channel at Youtube) increase the public participation and insight into politics. While these programs are an important contribution to democracy, they typically do not facilitate daily encounters with legal issues of employment, family, consumer, taxes or housing, or provide citizens with the necessary information to do so. In this respect, technologies enabling interactivity and re-use of public information are of greater importance, the latter also being a strategic concern of the European Union. In particular, semantic technology offers solutions for transforming raw data into comprehensible information for citizens. Here, practical examples that utilize at least part of this technology can also be found within e-government projects as well as in private initiatives. The next step would be law being built into the code already. Intelligent agents negotiate the most advantageous terms and conditions for their owner, cars prevent being switched on if the driver exceeds the permitted alcohol level (Ignition interlock device) and music songs do not play unless your device is authorized (iTunes). So, from a technological point of view, anything from presenting legal information on a website to implementing law directly into the end device is possible. In practice, though, most governments are content with providing textual legal information, at best in a structured format so it can be re-used easier. The technical implementation of more advanced functions is often left to other market players and businesses. There are two initiatives in this respect that are worth mentioning, one being a true private project in Sweden and the other one being provided by the Austrian government. Lagen.nu (law now) has been around for some time now as a private initiative offering free access to Swedish legislation and case law. Recently the site was extended by adding commentaries to specific statutes, which should enable laypersons to understand certain legislation. The site includes explanations for certain terminology and particular comments are also categorized and include links to other laws and cases. The other example, HELP, a service provided by the Austrian Government Agency, structures and presents legal information depending on the factual situation, e.g. it contains categories such as employment, housing, education, finances, family and social services. The relevant legal requirements are then explained in plain text and the responsible authority is listed and linked to. In some cases the necessary procedure can even be initiated through the web site. Both projects are fine examples of the possible transformation of legal information from pull to push technology. They are not quite there yet, though. The question we are faced with now is not so much how or which technique would be the best, but rather in which situation a citizen might need certain legal information. Somebody trying to purchase a book via a web site might need information at that moment, and either as a warning text or a check list or its intelligent agent, the purchaser might go to another web site that has better ratings and more favorable legal terms and conditions and no pending law suits. In some other cases, the citizen might need certain information in a specific situation right at the spot. For example, while filling out a form she or he might want to know what would be most favorable choice, rather than simply the type of personal data required for the form. Depending on the situation, different approaches might be more valuable than others. The larger issue at hand is where the information is retrieved and who is the provider of the information. In other words, trust is an important factor, particularly trust of the information provider. As previously stated, legal information is not usually provided by public bodies but instead is rerouted through various other entities, such as businesses, organizations and individual efforts. This increases the importance of source criticism even more. In many cases citizens will use general portals such as Google or Wikipedia to search for information, rather than going directly to the source, most often because citizens are not aware of the services offered. This underlines the importance for legal information providers to co-operate with other communication channels in order to increase their visibility. The necessary legal information is out there, it just remains to be seen if and how it reaches the citizens. Or to put it in other words: The prophet still has to come to the mountain, but in time, with the increasing use of technology, maybe the mountain will come a bit closer. 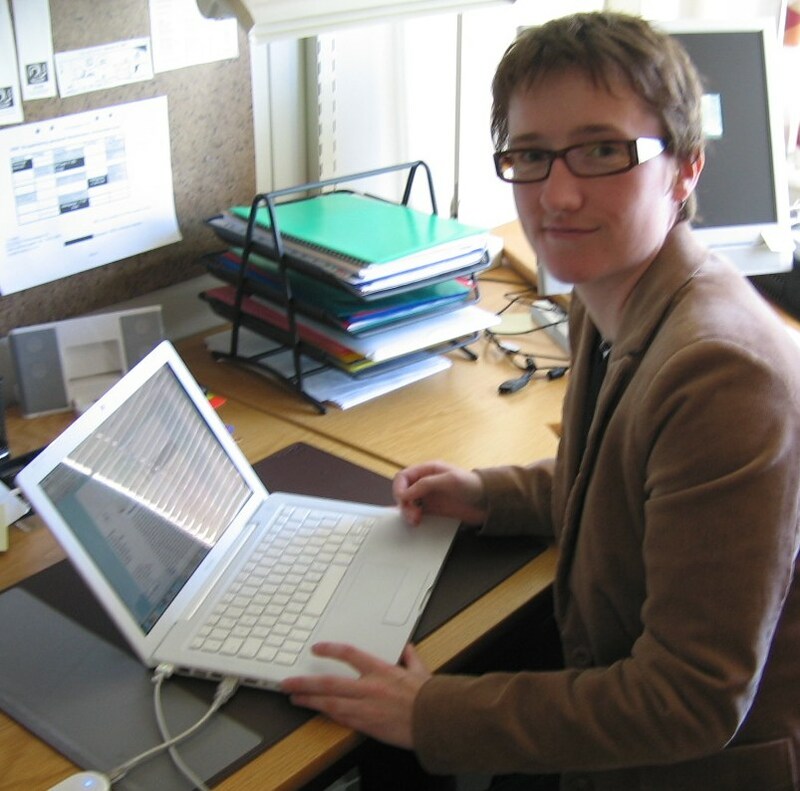 Christine Kirchberger has been a junior lecturer at the Swedish Law and Informatics Research Institute, Stockholm University) since 2001. Besides teaching law and IT she is currently writing her PhD thesis on Legal information as a tool where she focuses on legal information retrieval, the concept of legal information within the framework of the doctrine of legal sources and also takes a look at the information-seeking behavior of lawyers. While it is possible to implement laws directly in hardware/software, the results are often far more restrictive than the original law intended. This is a problem that has not been adequately addressed by governments seeking to enforce laws via technology. Professor Kirchberger: Thank you for this very interesting post, and for mentioning my work. I had a question about your definition of “legal information” from the layperson’s perspective, as “the data, the facts and figures, that are necessary to solve an issue–one that cannot be handled amicably–between two persons (either legal or physical).” Does this definition include what H.L.A. Hart called “power-conferring rules,” that is, legal rules that permit individuals to enter into transactions and make arrangements that can be enforced by a court, such as the law governing contracts, wills, marriages, and the formation of business organizations? See H.L.A. Hart, The Concept of Law 27-33 (2d ed. 1994), http://www.worldcat.org/oclc/31410701.